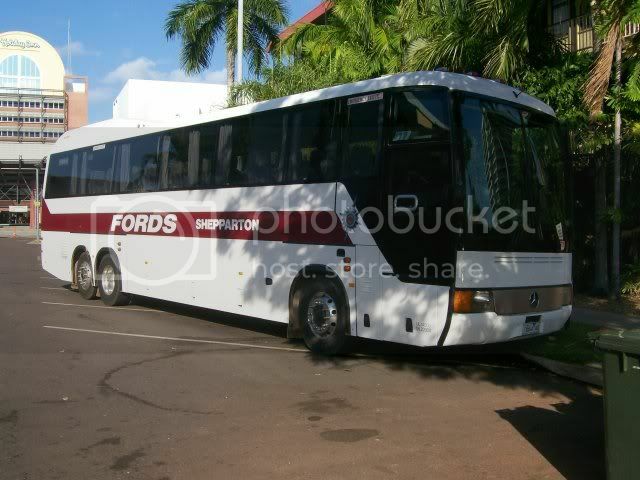 Spent a week in Darwin (15/8 to 21/8), before heading down to Adelaide on The Ghan. Got Plenty of photos, so I have decided to show some here. 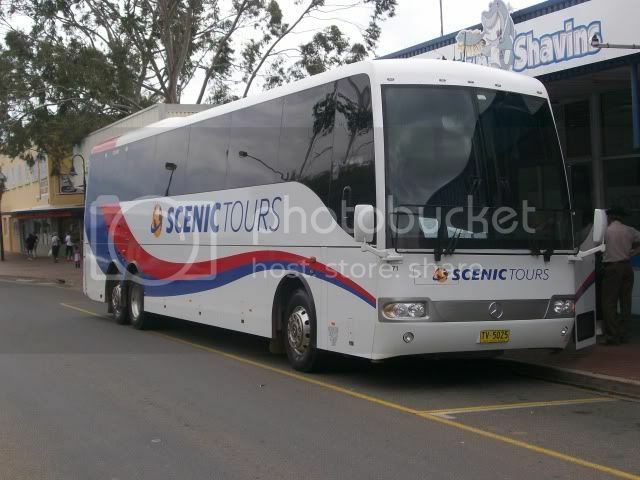 Part 1 is Coaches visiting the Northern Territory. 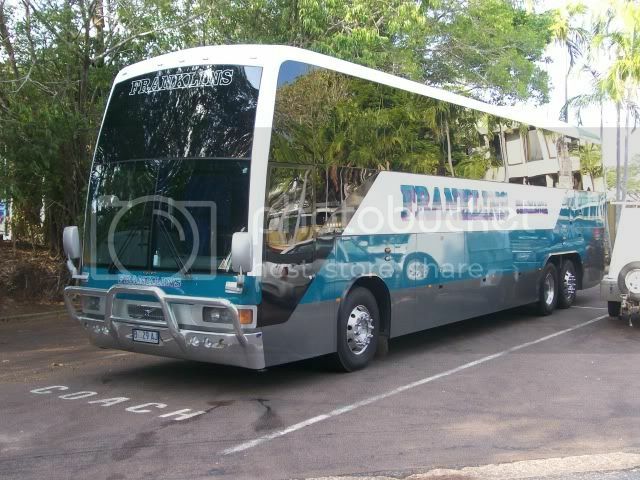 This Franklins Volvo (Tas reg. 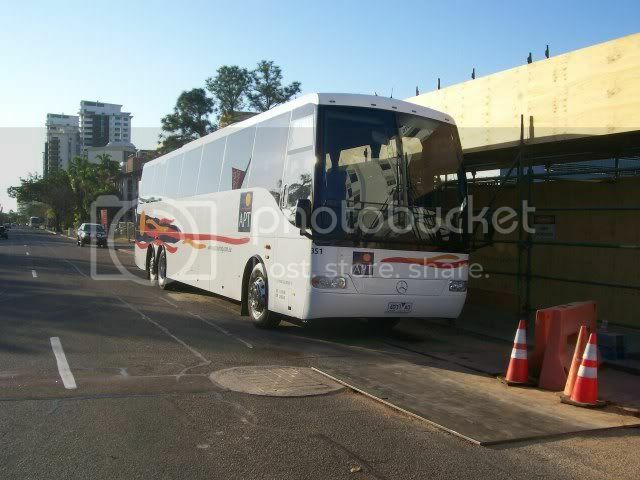 B29AJ) was seen parked at the Travelodge in Darwin. 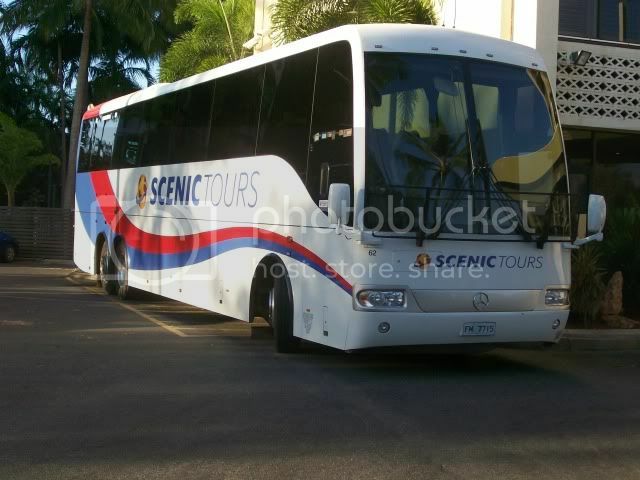 Scenic Tours 62- Tas reg FM7715, a 2006 Mercedes Benz 0500RF/Coach Design seen at a motel on the Esplanade, Darwin. 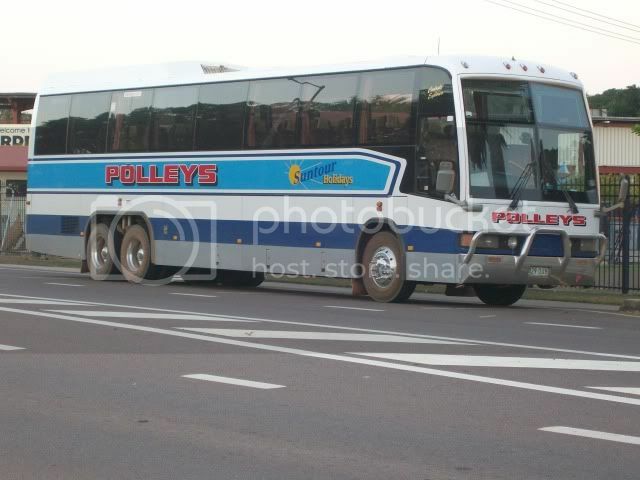 This coach was then seen at Katherine during a stop over on The Ghan on Saturday!! 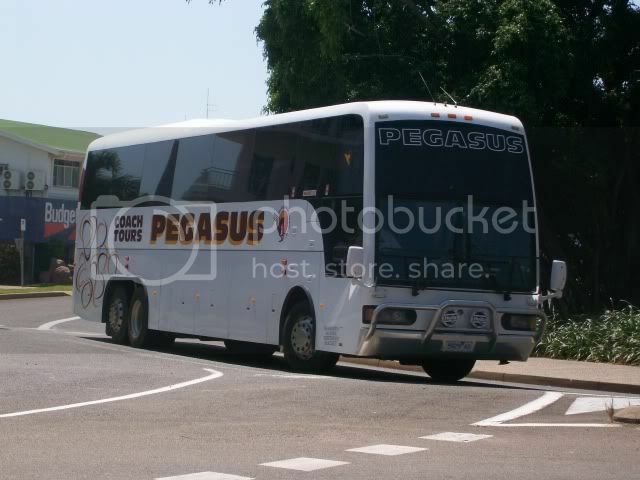 Dyson's 351- 4031AO, a 2006 Mercedes Benz 0500RF/Coach Design, seen on the Esplanade in Darwin. Unsure if it will be a permenant transfer to Darwin. 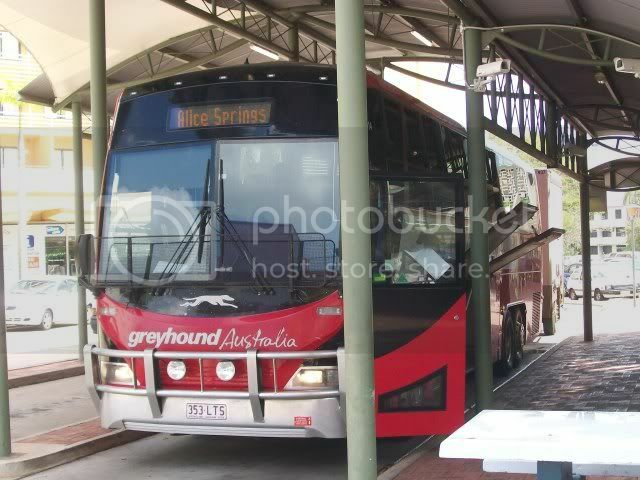 Greyhound 814- 353LTS, a 2007 Scania K114IB/Mills-Tui, seen at the Transit Centre, Darwin heading to Alice Springs. 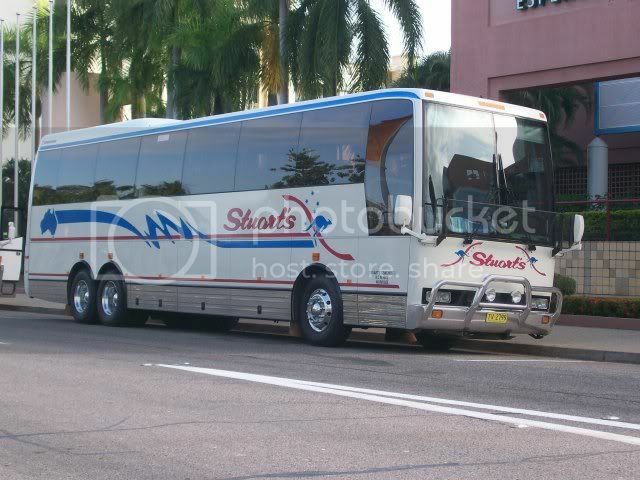 Stuart's of NSW had TV2799, a 2000 Autobus, seen in The Esplanade, Darwin. Very interesting. Didn't realise there were so many interstate visitors. 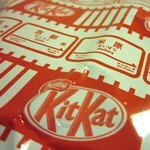 kitkat271 wrote: Very interesting. Didn't realise there were so many interstate visitors. And that was just in the week 15/8 to 21/8..